After I got back from Tales of the Cocktail, I had about a day to get it together and drink some more. After all, who’s keeping track? Oh yeah. 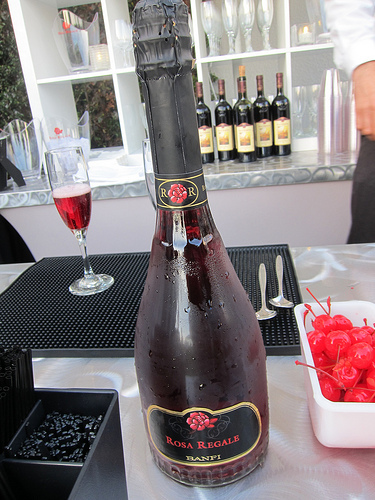 I just knew I couldn’t miss the opportunity to see Estelle and trying Rosa Regale, an Italian sparkling pink wine. 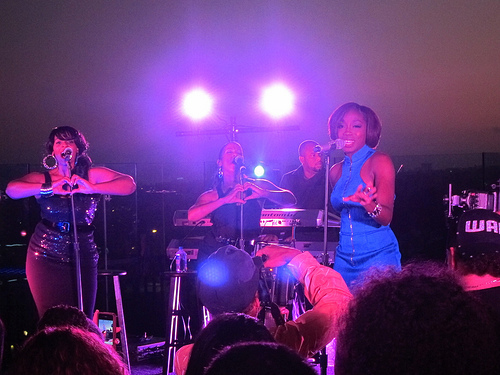 Estelle gave a private performance on the rooftop of the London Hotel in West Hollywood. It was gorgeous out and our blinking straws and ice cubes were a fun addition to chill our drinks. 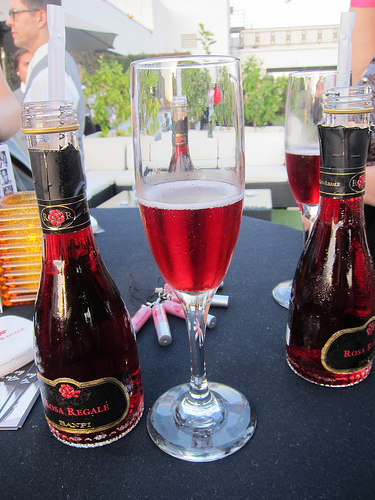 First I tried Rosa Regale on its own. It’s a tiny bit sweet and very cheerful. I wouldn’t actually mind it cut with a bit of sparkling water or soda. Next we had one of their cocktails, the Raspberry Delight (Rosa Regale and raspberry vodka). It was very pretty with its raspberry garnish. Because Rosa Regale is sweet enough, we didn’t try it with the vanilla vodka. But the best part was probably sipping from the tiny bottles of Rosa Regale while watching Estelle. Here’s a video. What an amazing concert and night. 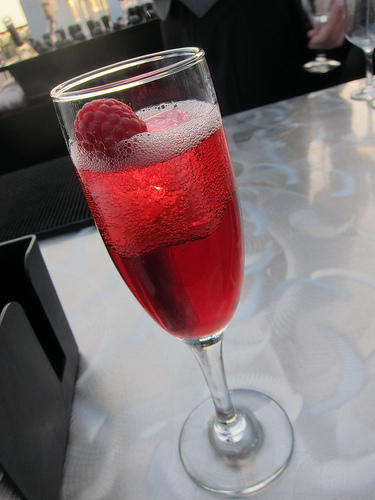 This entry was posted in alcohol education, cocktails, events, history, la, la cocktails, los angeles, spirits, the minty, wine and tagged concert, estelle, pink sparkling wine, private concert, rosa regale, sparkling wine, the london hotel, weho, west hollywood. Bookmark the permalink.